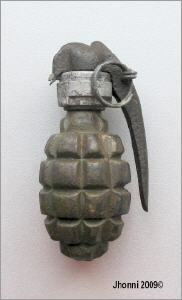 I have not found any documentation on this grenade. Name unknown. 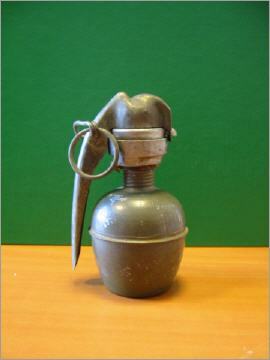 So far, all fuzes I've seen were marked " ACEC " with 4-digit year. According to François , the body is a normal French type F1. 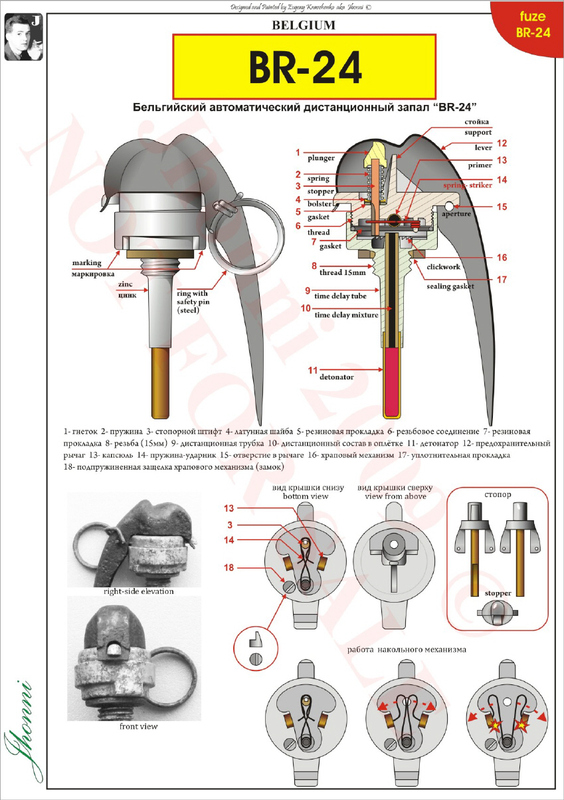 The fuze was called BR-24. *Francesco came with the info that ACEC stands for "Atelier de Constructions Electriques de Charleroi" (now FN-Herstal). Can anyone provide good photo on the fuze? 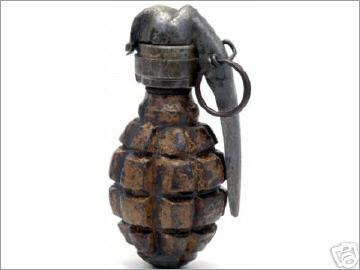 What did the detonator looked like and what are the sizes of it? Please let me know. Page on the right © Jhonni. 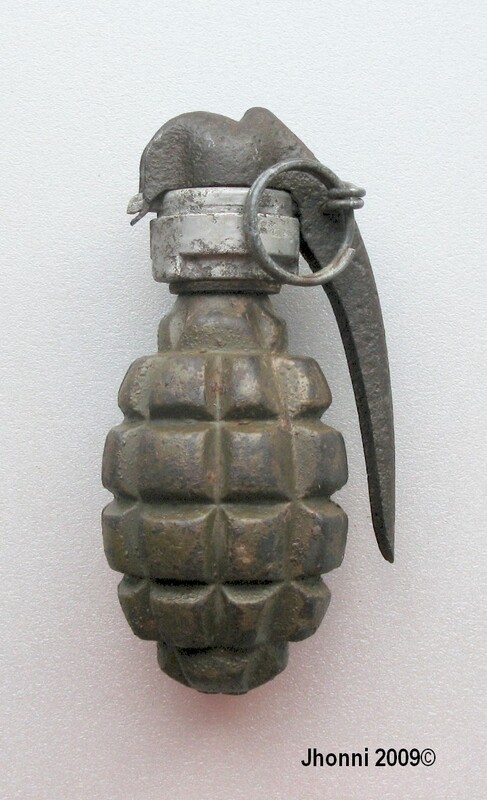 The grenade shown below is a wrong combination of the same BR-24 fuze-model as shown above, but here with the French Mle37 offensive grenade body. This version did not exist "by the book", but looks good anyway.